In March 2017 Xero – “Beautiful Accounting Software” hit over 1,000,000 subscribers for the Xero Accounting Software packages. What a fantastic Kiwi success story. XebraTax has 100% of its Accounting and Tax compliance clients subscribed to Xero so we can use this software to collate all small businesses accounting and tax compliance needs quickly and efficiently. 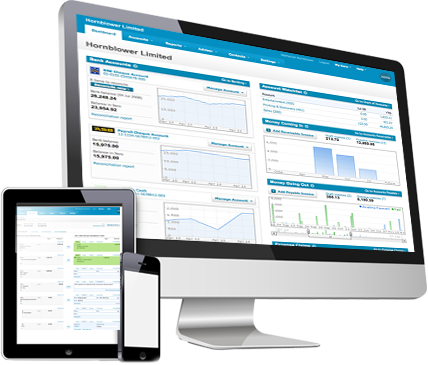 Xer0 – “Beautiful Accounting Software”. People often ask us – “What is Xero?” Xero is another Kiwi success story. It is an online accounting software that is ideal for our target markets of Small Business, Trusts or Rental Property Investors. Xero let’s you share online access to your latest financial numbers with your Team, Accountant and Bookkeeper – so everyone is up to speed. It’s fast and simple to work together in the cloud, so you can make smart financial decisions when it matters most – right now. Xero has grown into an Kiwi international success story and XebraTax are proud to be part of that success. Xero is beautiful accounting software that millions of people love using to run their Small Businesses, Trusts or Rental Property Investments. If you need to produce Tax Returns for your entity, Xero and XebraTax teamed with you, is the simplist, fastest and most efficient way to meet your Tax compliance needs. It’s a great way for small business owners who are always on the move to manage their finances. Bank reconciliation, checking account balances, online invoicing and expense management can all be done at the touch of a button – anywhere, anytime. Through Xero, XebraTax Accounting as your Accountant sees the same data as you, we manage and correctly code your Income and expenditure data into Xero for you, so you don’t have too. All your data is in the cloud, so you get access to this data whenever you like and we doesn’t have to wait for files to come through to reconcile or your accounts, keep your financial information up to date and give you access to financial information in real time. Combining the use of Xero with our XebraTax services, we have created a superior accounting and bookkeeping service for small businesses. The combination of several innovative technologies has resulted in the delivery of a faster, friendlier and more accessible service, saving our clients vasts amount of time each month. We have also gained massive efficiencies and reduced costs through the use of this online technology and we have passed these onto our clients resulting is extremely competitive prices and you will struggle to find a better value service anywhere.